Newly elected members of the 116th Congress descended upon Cambridge this week to attend a bipartisan orientation geared toward preparing them for legislative life. 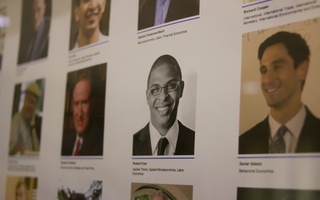 The newly elected politicians heard from business leaders and government officials, including U.S. Secretary of Transportation Elaine L. Chao and Goldman Sachs President Gary D. Cohn. The members also attended a speech from Harvard’s own “freshman” leader — recently inaugurated University President Lawrence S. Bacow. Congresswoman-elect Lori Trahan (D-MA) said Bacow gave attendees “life advice” as well as counsel on how to navigate public life. “He was terrific in terms of giving us an inspiring opening comment in terms of the enormity of the task on us and the expectation that with the size of this incoming class, with the diversity of this incoming class, we can achieve great things,” Trahan said. Congresswoman-elect Ayanna S. Pressley (D-MA) wrote in an email that she was “excited” by her colleagues at the orientation. This year’s midterm elections saw Democrats win control of the U.S. House of Representatives and Republicans maintain their majority in the Senate. Voters in the 2018 election also elected a historically diverse group of candidates that included an unprecedented number of Native Americans, Muslim and African American women, and BGLTQ candidates. More than 100 women will serve in the House for the first time in history. 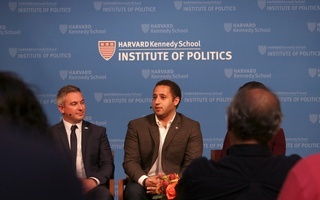 The Kennedy School event wraps up a series of activities for the newly elected members of Congress, who have attended several orientations in Washington, D.C. after winning office in November. Several newly elected members of Congress said the three-day orientation served not only as a chance to listen to experts but also as an opportunity to get to know other freshmen members of Congress. Sessions were closed to the press, and the schedule of the events was not publicly released. “The purpose was for us to spend time with our colleagues before going into Congress so that we can build the proper relationships and try to get things done for the American people,” Congresswoman-elect Deb Haaland (D-NM) said. “We find a common ground for most things, so it’s been good,” Haalend added. The orientation — which has occurred after every congressional election since its inception in 1972 — was hosted in collaboration with the conservative think tank American Enterprise Institute, the Center for Strategic and International Studies, and the Congressional Institute. 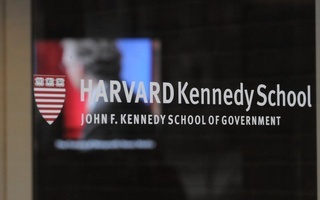 Rouda said he attended a panel on “civility and democracy” that HKS professor David R. Gergen moderated. 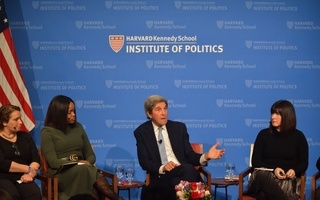 The panel included Government Professor Danielle S. Allen and President of the AEI Arthur C. Brooks. The presence of private sector leaders drew criticism from some of the members-elect on social media. In a press conference Thursday, Director of the IOP Mark D. Gearan ’78 said the IOP is “welcoming feedback” from the Congress members-elect. “We’re certainly not here to push any agenda. Our interest is creating a space for Republicans and Democrats,” Gearan said. “This is a university. Any good university reviews its curriculum, reviews it coursework and thinks of ways we might want to go forward. So from my perspective, we would welcome that sort of feedback,” he added. The orientation also saw a number of protests occur in concurrence with the scheduled events — and some of the soon-to-be members of Congress joined in themselves. Congressman-elect Rashida H. Tlaib (D-MI) and Ocasio-Cortez both spoke briefly at a rally organized by the College’s immigrant rights group, Act on a Dream, Wednesday night. The demonstration attracted close to 50 people, including Harvard affiliates and community activists. Laura S. Veira-Ramirez ’20, an organizer from Act on a Dream, said the group wanted to hold a rally to ensure they could keep this freshman class accountable on immigration issues. “We just want to make sure that they know that we see them, and that we are just watching to make sure that they know that our communities are under attack constantly, but we don't have the kind of political power that they have to institute change,” said Ramirez, who is also a Crimson Editorial editor. 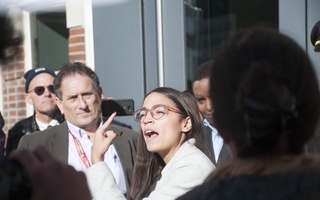 Ocasio-Cortez, along with Tlaib, Congressman-elect Andrew S. Levin (D-MI), and Congressman-elect Joseph Neguse (D-CO), joined Harvard students and other demonstrators during a rally to promote the Green New Deal — a series of environmental policies several prominent Democratic legislators have proposed — and to call on the IOP to include sessions during the orientation specifically on climate change. Gearan wrote in a statement provided by a spokesperson that the protestors brought “diverse perspectives” that Congress’s freshman class heard at the orientation. — Shera S. Avi-Yonah, Delano R. Franklin, and Molly McCafferty contributed reporting.